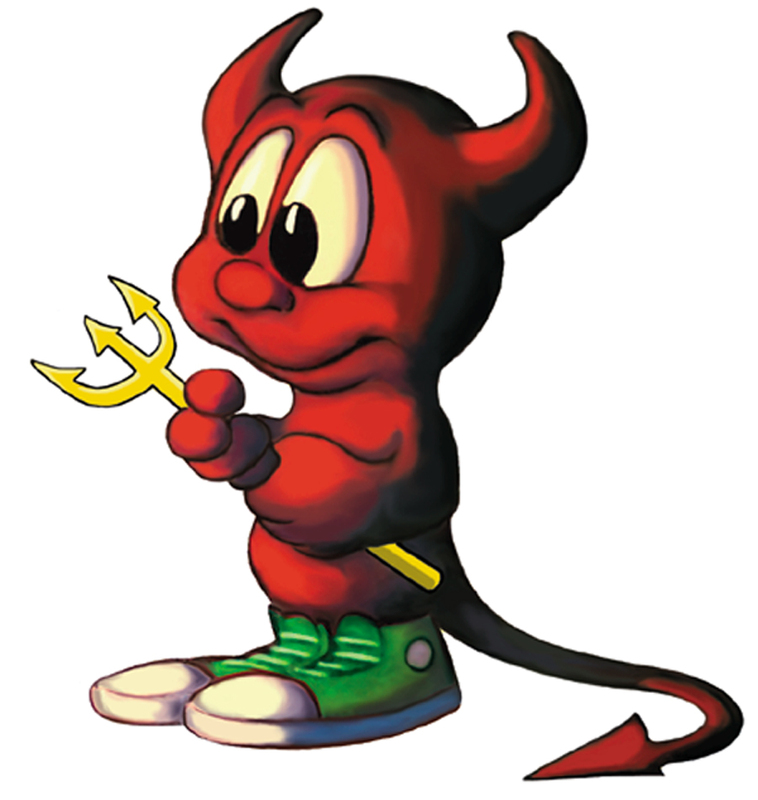 The BSD daemon is named after a software daemon, a computer program found on Unix-like operating systems, which through a play on words takes the cartoon shape of a mythical demon. The BSD daemon's nickname Beastie is a slurred phonetic pronunciation of BSD. Beastie customarily carries a trident to symbolize a software daemon's forking of processes. The FreeBSD web site has noted Evi Nemeth's 1988 remarks about cultural-historical daemons in the Unix System Administration Handbook: "The ancient Greeks' concept of a 'personal daemon' was similar to the modern concept of a 'guardian angel' ...As a rule, UNIX systems seem to be infested with both daemons and demons." What characters from Berkeley Software Distribution are we attracted to?